L.A. Punks, The Distillers, are without a doubt back with a vengeance! On their reunion tour’s second round through South Orange County, The Distiller’s have continued to improve their art with a set as tight as any consistently touring band out there. Brody’s voice is, in my opinion, at its best in her career and the band has continued to strengthen their sound on this tour. 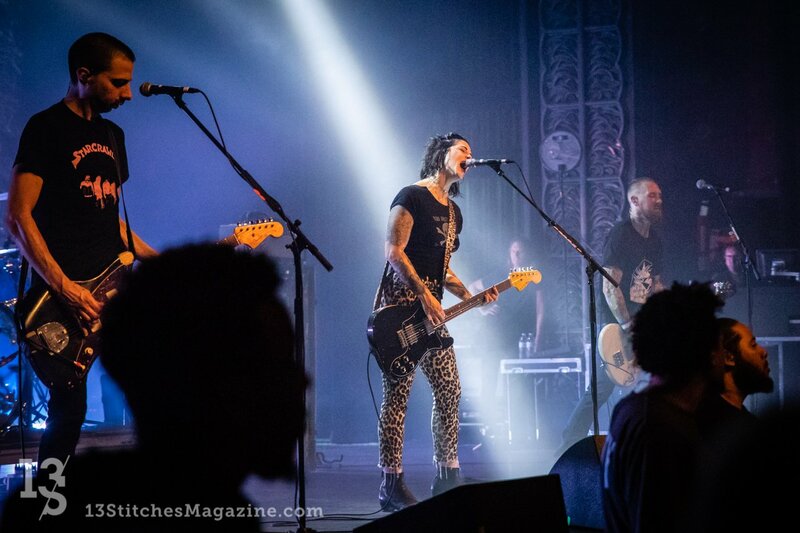 The Distillers play all your favorites, every single time, and they bring with them the feeling that they never stopped playing together. They visibly enjoy performing and the crowd fed off of that energy and excitement to provide a truly late 90’s style punk experience. I took my 14-year-old daughter and her friend to this show. Watching them stand literally in awe of The Distillers was so much fun. I believe the comment, “this is going to change my life” was uttered by one of the girls. The power and energy from The Distillers is captivating and the fans seem to share the awe that my girls expressed. This begs the question… When can we expect a new album? Thank you for the new singles by the way (Man vs. Magnet / Blood in Gutters), looking forward to more!